Joke of a company, I completely regret switching over from BT Mobile. Problem after problem. "Good choice to move to Sky"
We’ve swapped from Virgin and never looked back. We get more data for less and also signed up to the TV package, multi-room so good. Glad we switched. Sky Mobile costs me £20 a month, which I feel is too expensive. The plan only gives me 10Gb of data a month, but it does give me unlimited texts and minutes which is an upside. I will be changing my sim provider very soon though as there are cheaper options out there. Sky mobile is great for Sky TV customers like me and is even better as we have a family plan. The data rollover stuff is great for me. "Phone good but TV too expensive!" Happy with the sim deal I have and coverage is just as good as any other network I have used but the TV packages are too expensive, not worth it IMO. Sky Mobile is the mobile phone arm of satellite giant Sky TV. They offer a range of phone contracts, though currently no pay as you go service. Sky is a piggyback operator, meaning that they offer their own contracts, but do not own their own mobile infrastructure. Instead, they lease mobile infrastructure from UK operator O2 to provide service. Sky Mobile uses O2’s network to provide service, so you’ll be getting the same coverage as O2’s regular customers get. That means 99% coverage for 2G service, 98% for 3G, and 97% for 4G. You should get good reception pretty much everywhere with Sky, but it’s worth double checking your local area on the coverage checker found on the Sky website just to be sure. Notice that unlike most operators you don’t get a monthly limit for minutes and texts. However, if you’re a Sky TV customer you do get unlimited minutes and texts included with every plan. If you’re not a Sky TV customer you can add unlimited minutes and texts to your plan for an extra £10 a month. This can make Sky an expensive choice if you’re a big phone user unless you’re already signed up for Sky TV. Also notice the lack of big data packages, which could be a deal breaker for some. 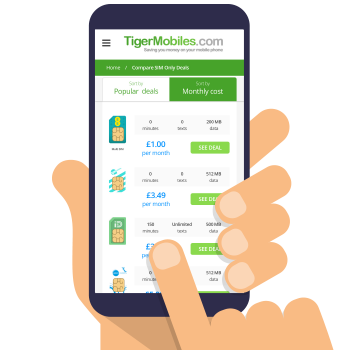 However, Sky Mobile do offer some flexibility in that despite offering only 12-month contracts you can change your chosen plan every month if you choose to, upgrading or downgrading for no extra cost. Since Sky Mobile do not offer pay as you go services, then credit expiry is not an issue. Rather obviously from the information above, being a Sky TV customer is a big advantage if you want to use Sky Mobile since you’ll get unlimited minutes and texts included automatically with every plan. Sky Roll allows you to roll over any unused data from a month into the next month, and there’s a whopping three-year limit, so you can rollover that data as much as you like. If you’d prefer not to roll over your data you can opt to share any unused data with up to five other SIM cards attached to your account (useful if you have other family members such as children attached to your mobile account). There are two Sky Swap programmes. Swap12 allows you to switch out your Samsung Galaxy or iPhone for the latest model every 12 months. Swap24 allows you to switch out any mobile phone for a new one every 24 months. Be aware though that you will be required to give your old handset to Sky in both cases (you can’t keep it), and that handset must be in good working order in order to be allowed to swap. If you’re a Sky TV customer, you get a free subscription to Sky Go Extra when you sign up for mobile service. This lets you download TV shows onto your phone so you can watch them without using your mobile data (Sky TV customers only!). Sky offer discounts on international roaming with their Sky Passport system. Roaming inside the EU is free. Roaming in select other destinations (the US, Australia, and Thailand, for example) is £5 a day and this allows you to use your regular UK minutes/texts/data plan. It is exceptionally difficult to compare Sky Mobile to other operators simply because of the way their service works. If you’re a Sky TV customer then Sky Mobile offer rates that are fairly comparable to other operators, they’re not as cheap as GiffGaff but are generally cheaper than big name operators like O2 and EE. If you’re not a Sky TV customer, then prices really depend on how much you’re going to use your phone, particularly given that both minutes and texts are pay as you use rather than defined by a monthly limit. As a general rule though, unless you’re a Sky TV customer or you’re willing to fork out the extra £10 a month for unlimited calls and texts and you use your phone a lot, then Sky Mobile is going to be a pricier choice than most other providers. And, of course, there’s no big data plan which could add even more to your end monthly costs if you’re a big data user. One of the areas that Sky Mobile does shine in, however, is that of contract phones. In general, phones bought on contract with Sky are cheaper than those bought elsewhere. And if you’re willing to turn in your old phone and take advantage of the Swap programme you could save yourself a bundle, especially on big brand phones like the Samsung Galaxy and iPhones. Prices obviously will depend on which phone you choose and on whether or not you opt for a Swap plan (and if so, which one, Swap12 or Swap 24), but as a general rule, contract phones are cheaper with Sky than with other operators. Sky Mobile does offer WiFi calling, but only on select models of phone. You’ll need to check the Sky Mobile website to see if your model is eligible. You do get access to O2’s free WiFi hotspots as part of your Sky Mobile deal, so if you’re out and about you may get free WiFi as long as you’re in range of one of O2’s over 15,000 hotspots. Sky Mobile does allow mobile tethering. So if you’re looking to use your mobile data to get your tablet, or another device, online, you can do so. 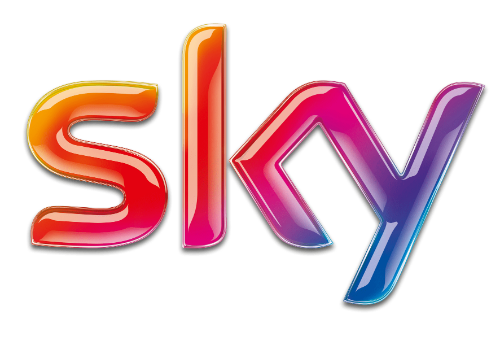 If you’re a Sky TV customer then Sky Mobile could be a great deal for you. Also, if you’re looking to get a phone on contract (especially a pricey Galaxy or iPhone), then Sky could be your best deal. But if you’re a big data user, or if you’re looking for the flexibility of PAYG or short term 30-day contracts, then you’ll need to look at another operator. And if you’re not a Sky TV customer then those pay as you use calling and texting rates could end up costing you more than with other operators unless you’re a very light phone user.